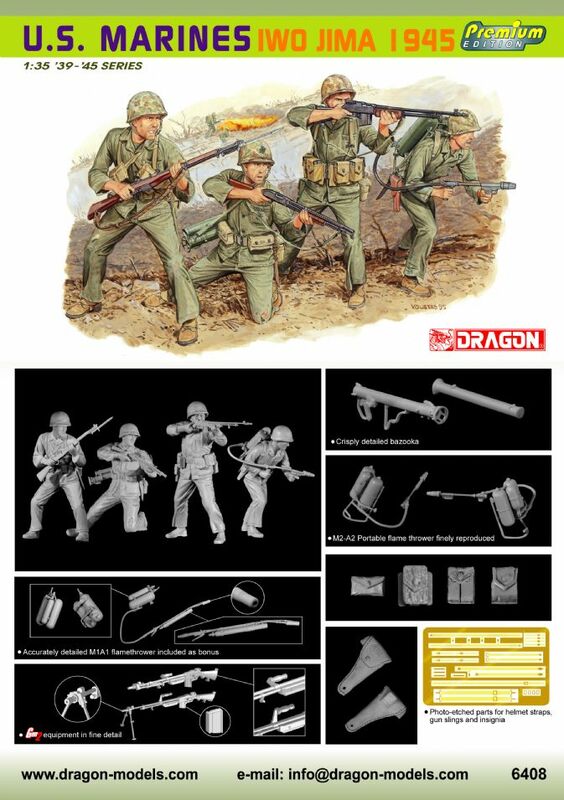 This Premium Edition set shows four Marines as they would have appeared in the vicious close combat to wrest the island from the hands of the Japanese. They are posed in dramatic fighting poses with a range of armaments that includes rifles, a BAR and a flamethrower. Of course, these weapons and associated personal equipment carried by the Marines have all been upgraded to Gen2 standard. Bonus photo-etched parts are included so that modelers can realistically portray gun slings. The figures are posed in a lifelike way with maximum detail sculpted in. The only thing the soldiers in this set needs is black volcanic sand – with this, “The Sands of Iwo Jima” vignette will be complete!